G.J. 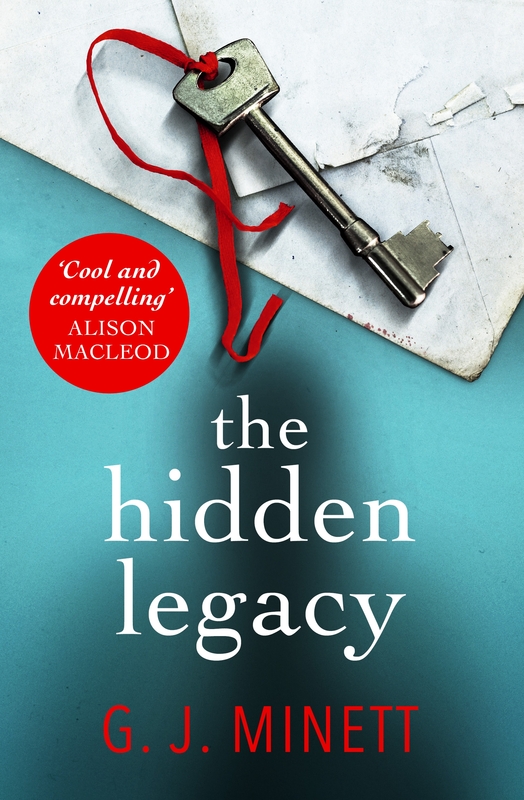 Minett has been getting terrific reviews for his debut crime novel The Hidden Legacy, which looks at the repercussions of a childhood crime on the perpetrator, their family and the families of the victims. 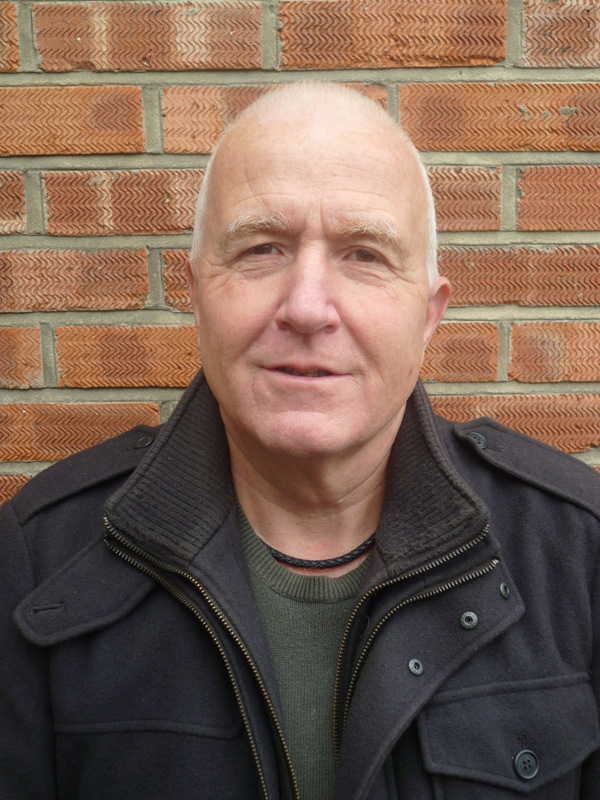 In 2008 Graham finished a part-time MA in Creative Writing at the University of Chichester. He wrote the first chapter of The Hidden Legacy as part of his course and the piece subsequently won both the inaugural Segora Short Story Competition in 2008 and the Chapter One Competition in 2010. Tell us about The Hidden Legacy. The Hidden Legacy essentially tells two stories which seem at first glance to be completely separate but which are actually intrinsically linked. One timeline, beginning in the 1960s, describes events which lead to the demonisation of an 11-year-old boy at the hands of the media for an atrocious assault in the school playground. The other, set in 2008, follows a recently divorced mother of two who is trying to keep too many balls in the air in both her personal and professional lives and who seems to have been handed the ultimate in gift horses when she learns she has inherited a Cotswold cottage that is worth three quarters of a million. The only snag is, she doesn’t understand why as she has never heard of the woman who has left it to her. does the need to fill in gaps about your past justify any risk? should anyone be expected to pay for the rest of his life for something he did as an impressionable child, however appalling that act may have been? Where should the line be drawn between the public interest and sensationalism on the part of the media? Given that once you know something, you can’t then unknow it, is there ever a case for accepting the bird in the hand and walking away? More than anything else though, I’d like to think it’s an intriguing mystery which will keep the reader guessing until very near the end. The two timelines came from news items which I’d filed away for future reference, probably as separate short stories. Older readers may remember the case of Mary Bell who, as an 11-year-old, was convicted of killing the child she was babysitting. She had been released as an adult and given a new identity and was taking out a court injunction to prevent the media from disclosing it but it was her reason for doing this that caught my eye. It transpired that she now had a daughter of her own and was trying to protect her because she knew nothing of what her mother had done when she was a child. I thought it had potential. The details of the other news item didn’t really stay with me. It was one of those ‘and finally . . .’ type pieces and it concerned a man who’d inherited something unexpected and couldn’t work out why but I can’t really recall any more than that. I already had a strong female lead character playing around in my head and was trying to find the right storyline for her when it occurred to me that I might be able to combine both of these. So I suppose there’s a case for saying that there was more than one inspiration for The Hidden Legacy but never any doubt as to why I was writing it. It was always all about Ellen. Murders committed at school are sadly all too common – how did you go about approaching such a sensitive subject? Like a bull in a china shop, if you want the honest answer. The scene popped into my head one day, which is worrying enough, and I wrote it almost at one sitting. It really (honestly!) hasn’t changed much at all despite all the edits that the book has been through. Inevitably there have been odd phrases which have been altered and some bits have been deleted or added but these changes have been relatively few and far between because of the response to it on my MA course right from the outset. It was only once I’d moved on from it and started to develop the rest of the novel, thus putting it into a more clearly defined context, that I realised there were a lot of sensitive issues here that I needed to think through. I imagine all writers have to go through something like this sometime but it was the first time I’d ever had to look past my own pleasure in having produced a piece of writing which was being widely praised and consider the fact that it could be extremely upsetting for anyone who has been through a similarly traumatic experience. I was writing a hook to draw readers in, not taking a moral stand or seeking to promote a debate on the concept of rehabilitation and the treatment of juvenile offenders but that wouldn’t necessarily be how others would view it. It’s been a salutary lesson in the importance of thinking things through before I get them down on paper. The award-winning first chapter of the book was written for a Creative Writing course – did you always have a good sense of how you wanted to expand it into a novel? To be honest, I wasn’t even one hundred per cent sure it would be a novel. Initially it was just a module that had to be completed for formal assessment. Then, because it earned a distinction, it seemed to make sense to develop it a little further for the dissertation for my MA but even then any thoughts of going on to complete the novel were still no more than vague speculation. But that earned a distinction too and when it went on to win a national competition for the opening chapters of a novel, the decision more or less made itself, especially as part of the prize was to work online with an editor in London to see the ‘novel’ through to completion. As I said earlier, I had a clearly defined character in mind, someone I’d been carrying around with me for some time, so I used her as the focal point for brainstorming where the novel would go from the opening chapters. It was planned in minute detail on postcards pinned to a huge notice board and by the time I did any further writing I knew exactly how many scenes there would be, how each would move the plot along, and also which elements of Ellen’s character it would either reveal or put to the test. So it would be something of a stretch to say that I always knew exactly how it would develop but I did at least have in place the central pivot around which everything was going to revolve. You work at a school as a timetabler – how have the pupils there reacted to your success as an author, and to the subject matter! As it happens, very few of the students would know who I am nowadays because I work from home for a lot of the time. I’m sure it would have created quite a buzz while I was still Head of 6th Form and teaching a pretty full timetable in lower school but my contact with the students themselves is much reduced now as my job is essentially an admin one. I have taught a few Creative Writing lessons recently to the A-Level group and the students seemed intrigued by what has been happening in the past few months but while the younger ones may have heard about it they’re probably mystified as to who this person is. There has already been some lovely feedback from former students though. Probably that more is often less. I have always had a tendency to overwrite and need to be pulled up short from time to time and reminded that frequently the simplest form of expression is also the clearest and most effective. Not every reader wants to dive into a dictionary every other page of the book and very often the use of obscure vocabulary or complex sentence structure, apart from hindering a reader’s understanding, can cause the writing to sound unnatural and forced. The importance of communicating clearly is not a difficult concept but remembering to put it into practice can be so difficult, especially if I’m striving for the wow factor in any passage of writing. It ought to be deeply ingrained in me by now but I still need reminders every so often. William Faulkner, because in his brilliant creation of Yoknapatawpha County he managed to to make the Southern states of the mid-20th century come to life in a way no one else has managed since. I always feel a little edgy about something like this because what works for me is not necessarily going to suit someone else. I do feel though that it’s important to get the right people around you while you are writing. I was very fortunate while doing the MA because a lot of what I wrote was extensively workshopped and this made such a difference to the quality as well as forcing me to think hard about everything I produced so that I could justify it. Some fellow students were of little help (other than in stroking the ego) because they tended to say nice things about just about everything, with the inevitable consequence that their advice didn’t really do a great deal to improve the work. Some others were overly critical, seemingly more interested in scoring points than making a valid contribution. But by the end of the two years I knew which ones I really wanted to work with – they were the ones who always did their best to find positives in any piece of writing I produced but were not afraid to offer constructive criticism whenever it was needed . . . which was most weeks. Their advice always guaranteed a significant improvement in the quality of whatever I’d produced. Book two will be published as an eBook and paperback simultaneously towards the end of 2016. It has the provisional title of The Goose Drank Wine and has already been accepted by my publishers Twenty7 although the editing process is not yet complete. It’s a little darker maybe than The Hidden Legacy but there is more humour too and I’ve opted for a range of characters rather than just a strong female lead like Ellen. I’ve also started thinking about book three and have a fairly clear idea of where I want to go with it but what I had been envisaging as my detailed planning time for it is being taken up with unforeseen developments such as edits, PR plans, social media . . . in fact a whole range of activities associated with becoming a published author that I hadn’t even considered. You won’t hear me complaining. This is just wonderful. The Hidden Legacy by G.J Minett is out in ebook tomorrow – 5th November – and released as a paperback in 2016, published by Twenty7. This entry was posted in Authors, The Intel Interviews and tagged Chapter One competition, F Scitt Fitzgerald, G.J. Minett, Kate Atkinson, Kent Haruf, Maggie O'Farrell, Segura Short Story Competition, Tender Is The Night, The Great Gatsby, The Hidden Legacy, William Faulkner on November 4, 2015 by Crime Thriller Fella.